DATREX drinking water is purified and packed in specially sealed non-transparent pouches to provide a true 5 year shelf life. 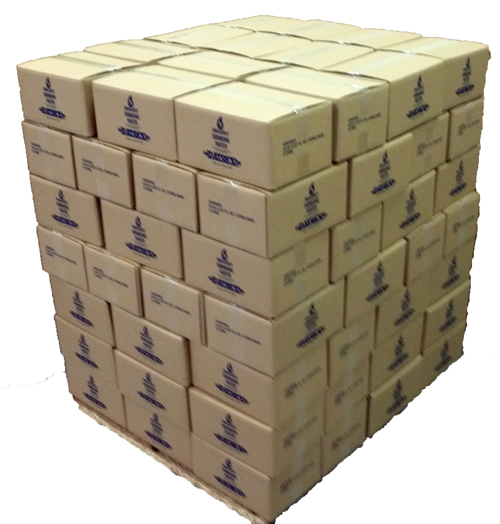 Each pallet contains 98 cases with 64 water pouches each = 6272 pouches/sachets in total. It is our company policy to not sell any water pouches older than 6 months and most of our shipments fall within 1 to 2 months, we always try to get the freshest possible.